"The Maryland Traditions Folklife Festival presents the music and arts that tell the story of Maryland and its people, cultural communities and heritage," said Hannah Byron, assistant secretary for tourism, film and the arts at the Department of Business and Economic Development, "It's a once-yearly chance to sample the artistic diversity of Maryland's many regions in a single day and place." The Festival features Maryland's traditional musicians, arts masters and their apprentices playing music and leading workshops and demonstrations in screen painting, decoy duck carving, Smith Island Cake-baking and more. Maryland-made arts and crafts, plus distinctive Maryland food favorites will also be available for purchase. Top musical talent from across the state is scheduled to perform at this free festival in Baltimore. Folklife is the stuff of oral tradition – the stuff we learn from each other, across generations, that links our past, present, and future. Said Cliff Murphy, Ph.D., Director, Maryland Traditions, "Folklife is the stuff of oral tradition – the stuff we learn from each other, across generations, that links our past, present, and future. The Festival is an inspiring reminder that extraordinary art and cultural traditions are to be found right here at home." The Baltimore Salute is led by Baltimore Irish flute master Laura Byrne and features accordionist Billy McComiskey and pianist Donna Long. Byrne is the lynchpin of traditional Irish music communities in Washington, D.C. and Baltimore. A former classical flautist from the Peabody Conservatory, Byrne was transfixed by Irish musicians from Baltimore, including McComiskey and Long, and has since dedicated her life to sustaining living Irish music traditions. She is founder and Director of the Baltimore Irish Arts Center. 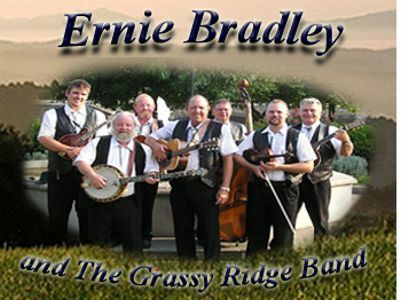 Ernie Bradley & The Grassy Ridge Band (Washington County) – A third generation Appalachian banjo player, Ernie Bradley has mentored many of the young musicians who make up Western Maryland's thriving bluegrass scene. His Grassy Ridge Band is a staple of festivals throughout the mid-Atlantic, from Gettysburg, PA to Washington, D.C. The Cambodian Buddhist Society (Montgomery County) is home to extraordinary Khmer classical musicians and dancers, many of whom arrived in Maryland as refugees in the 1970s. The group appearing at the festival includes the dancing of 2011 Apprenticeship Award recipient Masady Mani and master pinpeat musician and 2007 NEA Heritage Fellow, Chum Ngek. The DeBusk-Weaver Family (Cecil County) came to Cecil County, Maryland from Southwest Virginia along with scores of Appalachian migrants in the decades following the Great Depression. Their Appalachian gospel music, which they've recorded for Smithsonian Folkways, reminds listeners of the Carter Family, who lived not far from where DeBusk family patriarch, Burton DeBusk, was born. The Legendary Orioles (Prince George's County) originated on a Pennsylvania Avenue street corner in Baltimore in 1948, led by the charismatic vocalist Sonny Til. They are considered by many music historians to be the "first" doo-wop group, and their songs "It's Too Soon To Know" and "Crying in the Chapel" earned them an induction into the Rock'n'Roll Hall of Fame in 1995. Singer Diz Russell has been with the group since 1952 and has been the leader of the Orioles since Til's death in 1980. Prem Raja Mahat & The Himalayan Music Group (Baltimore) – For nearly two decades, Nepal's answer to Elvis has made his home in Baltimore. Using the sarangi (Nepali mountain fiddle) as his chief instrument, Prem brings the sounds of the Himalayas to Baltimore's Highlandtown. Lesole Maine's South African Dance Troupe (Prince George's County) performs a stunning form of percussive dance, rooted in the mining communities of South Africa. Maine is at the forefront of Prince George's County's burgeoning African immigrant music and dance community. Since 2003, México Vivo has celebrated and performed a variety of dance traditions from all over Mexico in after-school programs and at events in Baltimore's growing Latino community. Originally from Mexico City, María Guadalupe López and her brother Federico began México Vivo upon arriving in Baltimore to maintain a connection to their Mexican Heritage and to pass those traditions down to future generations; they perform today with the Mariachi band, Son de América. The Singing and Praying Bands of Maryland (Eastern and Western Shores) perform what is perhaps Maryland's oldest and distinct living gospel music tradition. Winners of the 2011 Maryland Traditions ALTA Award, they are closely affiliated with the African American United Methodist churches, where they have provided music ministry for centuries. The Soaring Eagles – Louis Campbell, Jason Warwick -- Lumbee Regalia, Dance & Drum Thousands of Native Americans – mostly from North Carolina's Lumbee and Haliwa-Saponi tribes – migrated to Baltimore following the Depression for work in the city's booming industrial plants. They settled in Fells Point and founded the Baltimore American Indian Center (BAIC) in 1968. Master artist Louis Campbell and apprentice Jason Warwick design and create Lumbee ceremonial regalia used at pow-wows. Regalia are, in Louis' words, "a suit of armor that you wear when you dance." Campbell's work is influenced by inter-tribal pow-wows, and uses materials from feathers to eagle claws to buffalo bone. Campbell and Warwick don their regalia today as part of BAIC's Soaring Eagles. Sweet Heaven Kings (Prince George's County), led by Norvus Miller, Sr., deliver a raucous, trombone-driven form of gospel music. They come to the festival from the United House of Prayer for All Peoples in the metro DC area, where their "shout band" music can be heard every Sunday. Eileen Torres & La Leyenda Salsa Big Band Orchestra (Anne Arundel/Montgomery County) – For decades, salsa dancer Eileen Torres has inspired legions of dancers at the famous DC club, Zanzibar on the Waterfront, to dedicate themselves fully to this flashy Latino dance. With her apprentice, Socorro Reyes, Eileen will teach festival-goers how to dance to the live sounds of La Leyenda's 14-piece salsa orchestra. Washington Guzheng Society (Montgomery County) is led by the talented Bing Xia, a master of the Chinese guzheng. The guzheng is a 24-string Chinese zither with roots in the Qin dynasty, circa 237 B.C. The group was established in 2000 and has performed at a variety of places in Maryland and beyond, such as the Baltimore Meyerhoff Symphony Hall, the University of Maryland, the U.S. National Arboretum, the Smithsonian Institution and at the Kennedy Center in 2003. The Wolf Pack play music traditional to the Greek islands. All members of the group trace their heritage to the Greek island of Karpathos, the same island where most residents of Baltimore's Greektown neighborhood hail from. The Wolf Pack pays tribute to their late friend and collaborator, Antonios Nicolaidis of Greektown. Nicolaidis was a master of the Greek lyre who received a Maryland Traditions Apprenticeship Award in 2005 to apprentice Antonios Minadakis. Minadakis and the other members of today's group perform regularly at Greek community events in Baltimore, the mid-Atlantic and abroad.